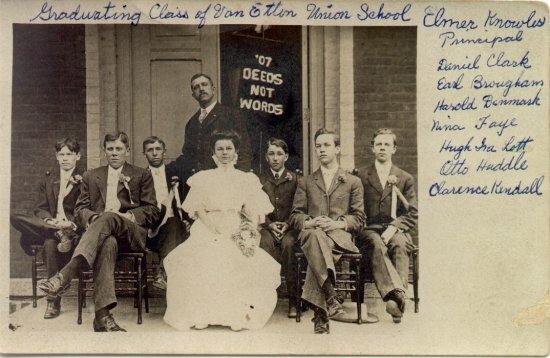 Subj: Van Etten, class of 1907. My daughter-in-law alerted me to this Website. Earl Brougham was my father-in-law. 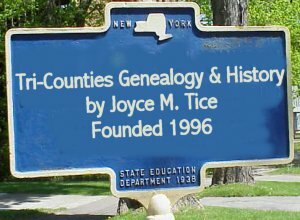 He graduated from Cornell in 1914 and was for many years the Agricultural Extension Agent in Greene county, living in the village of Catskill. I met his daughter, Mary Elizabeth Brougham while we were both students at Cornell in the late forties, and we were married in 1950. Both Earl and Mary are dcd. Thanks for troubling to put this information within reach. I'll share it with my family.